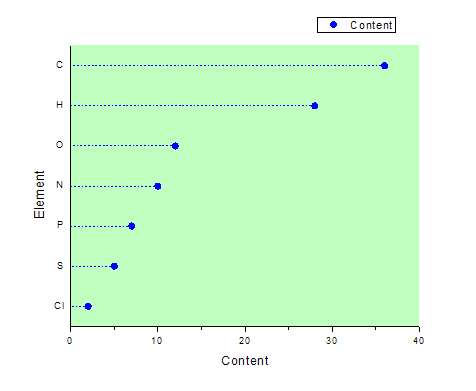 Dot chart is a statistical chart which consist of data points plotted on a simple scale. It is often used as a substitute for the pie chart because it can make quantities to be compared easily. This graph illustrates a simple dot chart in Origin.